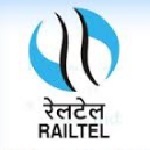 RailTel assistant Engineer recruitment 2016-17 notification apply for 61 posts : RailTel Corporation of India limited welcomes application for the position of 61 assistant Engineer vacancies on contractual basis for project in North East area.Candidates who completed their diploma, BE, B.Tech., MCA is a good opportunity.The individuals who are the occupation seekers searching for govt employments in India this is the best chance to apply. Competitors read the official notification then read all the guidelines and miners precisely then apply before the last date online application got. All the interested and eligible candidates can apply before 26th August 2016. Candidates Age Limit: The age of the candidate will be according to RailTel Corporation of India limited organization. Academic Qualification Details: Candidates should have diploma in electronics or telecommunication / communication or electrical or electrical and electronics or electronics and telecommunication / communication or electronics and instrumentation or information technology or computer science with minimum 55% marks with minimum 2 year experience in the field of execution of optical fiber cable or other telecom infrastructure project or BE / B.Tech. / B.Sc. in electronics or telecommunication / communication or electrical or electrical and electronics and telecommunication / communication or electronics and instrumentation or information technology or computer science or MCA with minimum 55% marks. Details of Fee particulars: All the interested and eligible candidates are need to pay application fee Rs 200/- for general categories candidates / other backward class categories candidates and Rs 100/- for schedule caste categories candidates (SC) / schedule tribe categories candidates (ST) through demand draft drawn in the favor of RailTel Corporation of India limited payable at New Delhi. Process of applying for the job: Candidates can apply in prescribed application form along with self – attested copies of all education professional certificates and documents in support of date of birth certificate / service / experience certificate / caste certificate (schedule caste category certificate / schedule tribe category certificate / other backward class category certificate) send to the Deputy General Manager (P&A), RailTel Corporation of India, building no 143, sector – 44, Gurgaon:- 122003 on or before 28th August 2016. Important Dates: All the interested and eligible candidates can apply before 26th August 2016.